My kids have stopped eating and I don’t know how to get them to eat! I like the idea of feeding therapy so my kids can learn how to eat without being tricked by me. It’s interesting that the younger the child, the less they have developed and so therapy might not be a good option for them if they are still an infant. I will have to consider this for my kids. Thanks! Thanks for stopping by the blog! We are all in favor of feeding therapy. However, it is really important to complete appropriate assessments first. 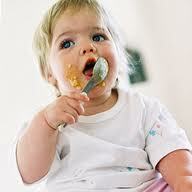 For example, is there an underlying medical reason for their picky eating (e.g., GI problems, reflux, food allergies)? Is there an oral motor reason for the picky eating (e.g., does your child have a tongue tie)? And finally, a BCBA could complete the behavioral assessment to determine why the picky eating is occurring.